Yes, new edition of GBG eZine is out now and it brings blue floral watercolor PNG’s right from my little home “atelier”. Watercolor is in. It’s in big time and must say I’m happy about it. Why? Because I really enjoy painting in the old, traditional way, using a brush, paper and real watercolors. In addition, thanks to Internet and modern technology, I can easily scan my work and present it to the worldwide audience. Well, at least to those of you who visit my site and GBG eZines. So, as you guessed by now, I am sharing my work for free again on GBG eZine and you can access the latest April 2017. edition right here ->. Apart from Blue Floral Watercolor PNG files, in this fresh edition we bring you a a bunch of other cool offers from our partners. I hope you will be enjoying it and using it in your commercial and non-commercial projects. 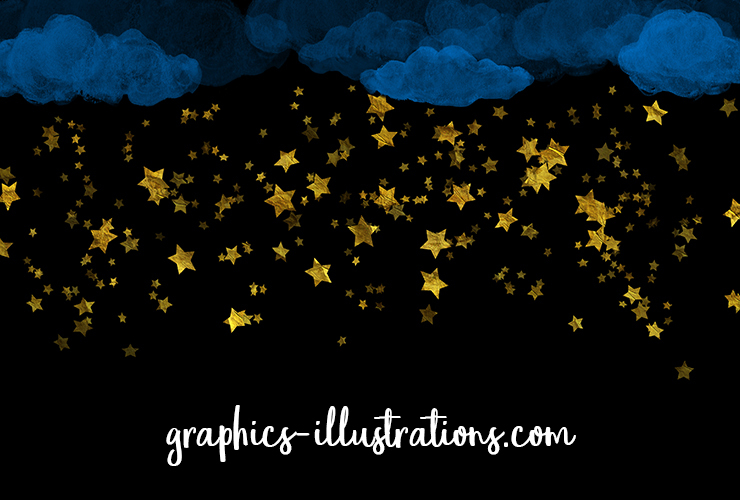 If you missed it, in the second March edition of GBG eZine you can get Clouds and Stars Overlays/Bgrs (png and jpg) for free of course! Here below is one of my favorite images of the year. With the downloads offered there you can do all kinds of variations or create something completely new. I am tempted to make a large format printout of the image below and hang it in my bedroom. 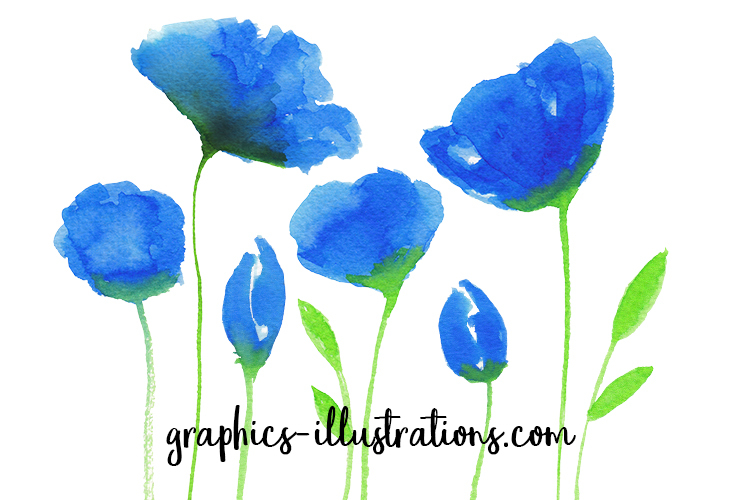 As a matter of fact I always try to provide you with large files which can be printed in high quality on large canvases and this time is no exception. This particular background comes in 2 JPG and 2 transparent PNG files 3600×3600 pix @300dpi. Pretty huge. So, what can I say! If you are into watercolors and graphics you will enjoy GBG eZines too! And finally, as always, my best advice to you is – get inspired, enjoy the spring, enjoy the arts and have fun creating!